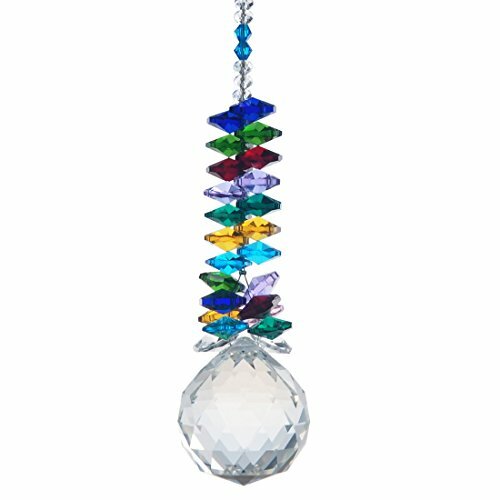 Crystal Prism Suncatchers are one of my favorite choices for garden decor. First and most important they reflect light like no tomorrow. I love light and anything that reflects it. 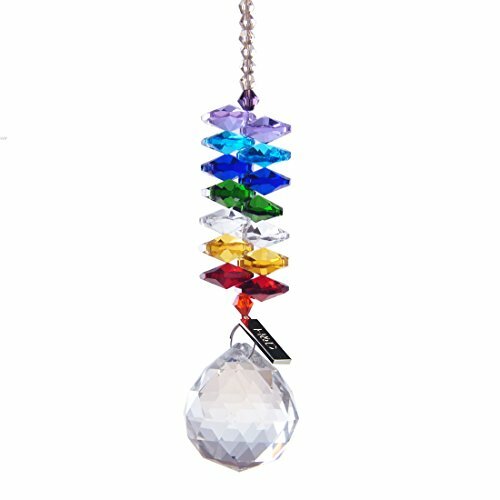 Place a prism suncatcher in just the right spot and a billion little rainbows start dancing away. Okay, so a billion is a bit of an exaggeration but you know what I mean. If you have never seen one and don’t know what I mean, you’re really missing something special. Crystal Suncatchers for the Gardener Who Has Everything. Crystal suncatchers make the best gifts. Ever. Seriously, you can’t go wrong. 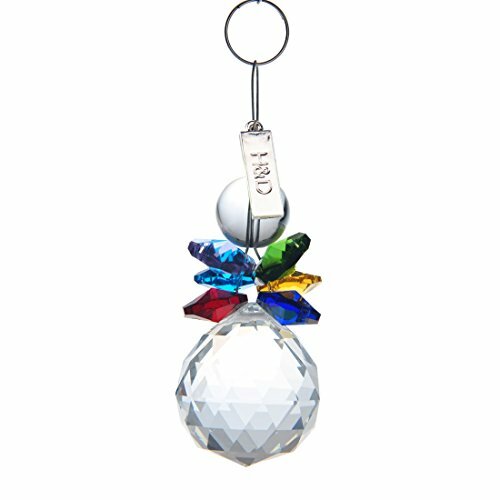 Everyone loves to watch the myriad of rainbows created by crystal prism suncatchers, so no worries if this gift will be liked or not. It will be loved. 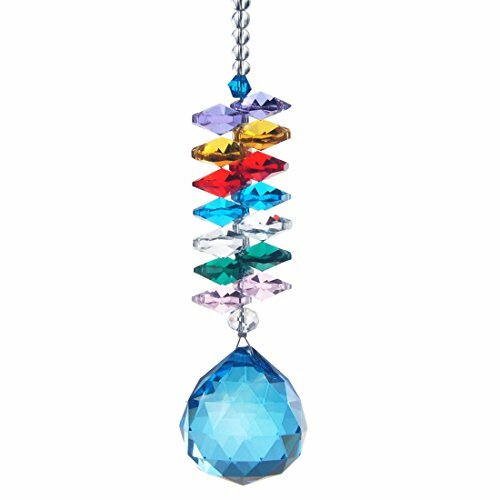 Also prism suncatchers are relatively inexpensive. You can afford one even if your budget is tight, and still be giving a special gift. Better yet, why not present a few and really dazzle your recipient? 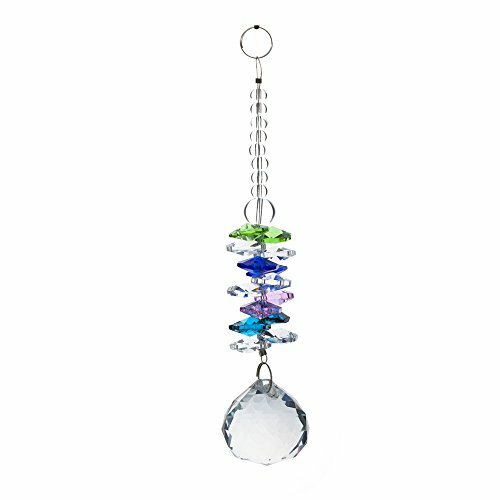 Prism suncatchers can be placed indoors or outdoors. I like to move mine around according to the time of year and where the light will hit them best. In colder months I place them on hooks in the garden where flower baskets hang in the summer. Just be careful where you place your fragile crystal suncatchers when using them outdoors. I’ve said a million times (there I go exaggerating again) any unique garden decor that cheers up your sad winter garden space is a good investment in garden art. Not to mention a cure for the winter blues. Place a suncatcher prism in a sunny window, or hang a few crystal suncatchers for that matter to create an amazing focal point. Not to mention the epic light show you just created. I like to spin mine around just to see all those colors dance off the crystal prism. Another idea is to fasten them to the pull string on window shades, so when the shades are open the sun hits the prism. 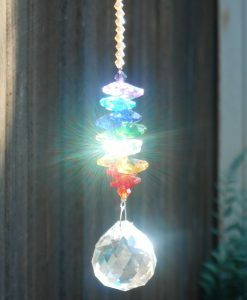 Using crystal suncatchers to add the element of light and gorgeous color to your garden is a creative and inexpensive way to add unique garden art. 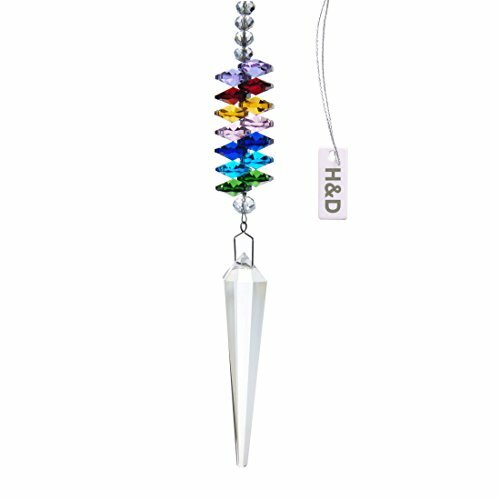 The crystal prisms compliment other light loving garden decor like glass wind chimes and solar garden stakes. 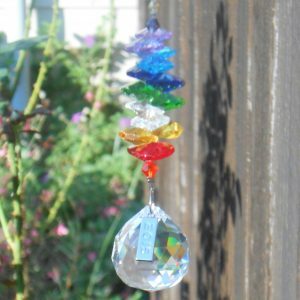 If you are adding unique garden decor to your garden or buying a gift for your favorite gardener, a crystal prism suncatcher is the perfect gift for yourself or someone else. Treat both of you at the same time and still have extra money in your pocket for more really cool garden decor. 😉 After all there is no such thing as too much garden decor, right? Speaking of gifts for gardeners, why not place a colorful crystal suncatcher in place of a bow on a gift wrapped box containing just the right gift for your favorite gardener? Colored Glass, creative garden decor, Crystal Prism Suncatchers, Garden Decor, Garden Decor Gift Ideas, Gifts for Gardeners who have Everything, Suncatchers, Yard Art.